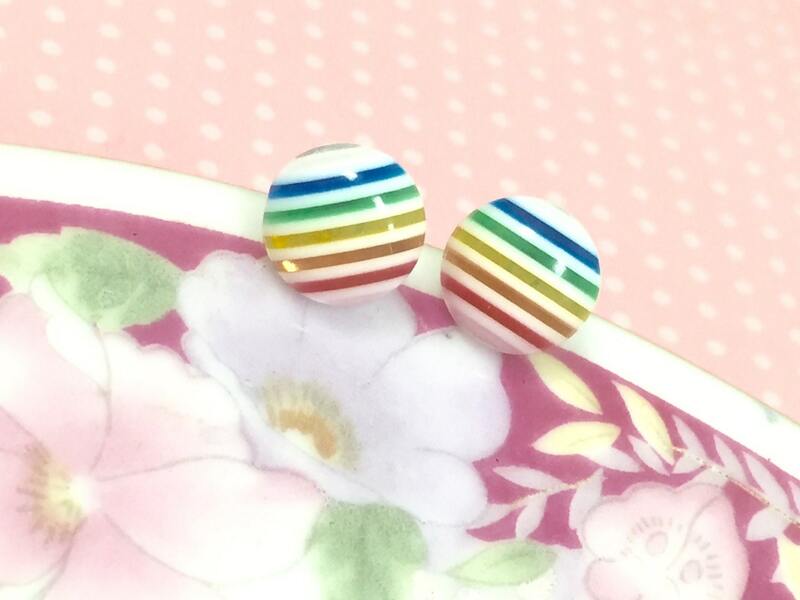 These rainbow stripe ear studs are just so much fun! 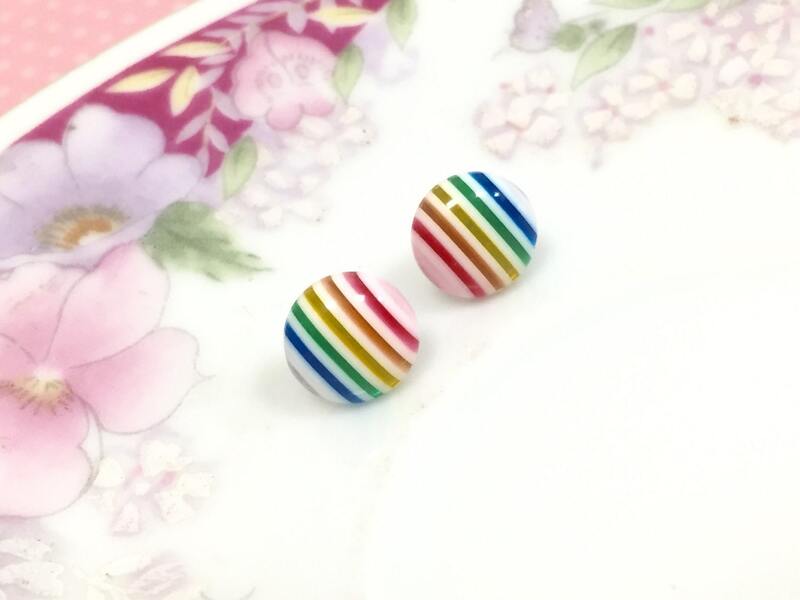 You can wear them with any outfit and best of all they are made with stainless surgical steel ear posts so they can be worn by those with sensitive ears. 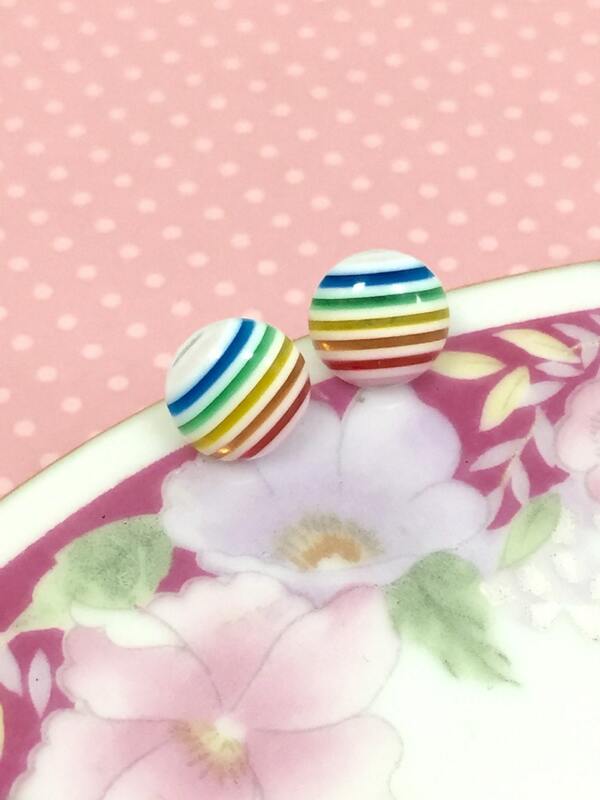 You are purchasing a pair of earrings made like those shown. 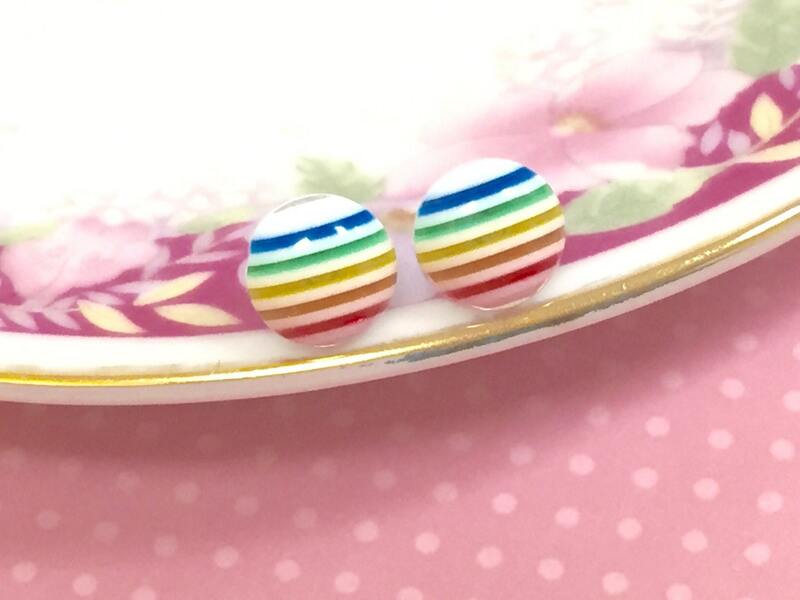 The earrings measure about 10mm in diameter (just shy of 1/2 inches).